I have heard the RS has a fully adjustable suspension and in the end will save you $$ - i.e. the money saved not buying the RS will be spent on susension upgrades, etc to get the non-RS to where the RS started. Reading the specs on-line it says the non-RS has adjustable sways, 6 possible degrees of camber... I have heard the RS has a light weight flywheel, is 50 pounds lighter, a tad wider. (I searched the forum for this and did not find it, apologies if this is a duplicate post and I missed it ) So interested in knowing what is different between the two models. Figure those who own them are the best source. I am interested in a great track car set up. Both versions of GT3s have adjustable suspensions, including adjustable anti-roll bars front and rear, adjustable control arms, toe links and shock struts with height-adjustable spring perches for corner balancing. Getting desired alignment is not an issue with either model or doing finer handling adjustments with the anti-roll bars. For most track capability, the RS is the preferred choice, particularly 997.2 RS. The wider track front and rear are big help, especially in the front as you can squeeze in wider tires. The 997.2 GT3 does better on track than the 997.1 RS due to its engine and better torque band, and they are roughly the same price on the used market right now. But it is tough to touch the 997.2 RS. 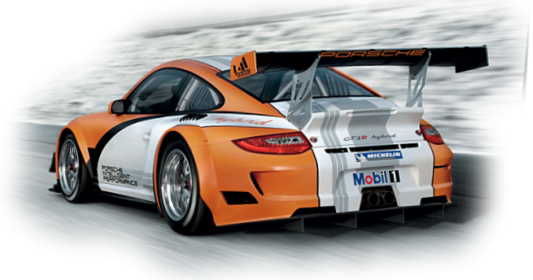 For a great track setup, go with RS, or a great compromise between street/track, I think the 997.2 GT3 is the choice.